This is the downloadable PDF version of The Bluegrass Gospel Songbook. You can read it on your computer or other device, and also print it out. This handsome and hefty 172 page book has over 100 of your favorite bluegrass gospel songs with lyrics, music (melody line), guitar chords, 100+ vintage photos, song histories, the roots of bluegrass gospel music, painless gospel music theory, how to choose the right key, how to operate a capo, using the guitar in gospel music, harmony 101, tips on how to sing lead, baritone, tenor and bass. See song list, below. Available with the recording (“Old-Time Gospel Favorites“) which features thirteen gospel songs from the book performed as solos, duets, trios and quartets. 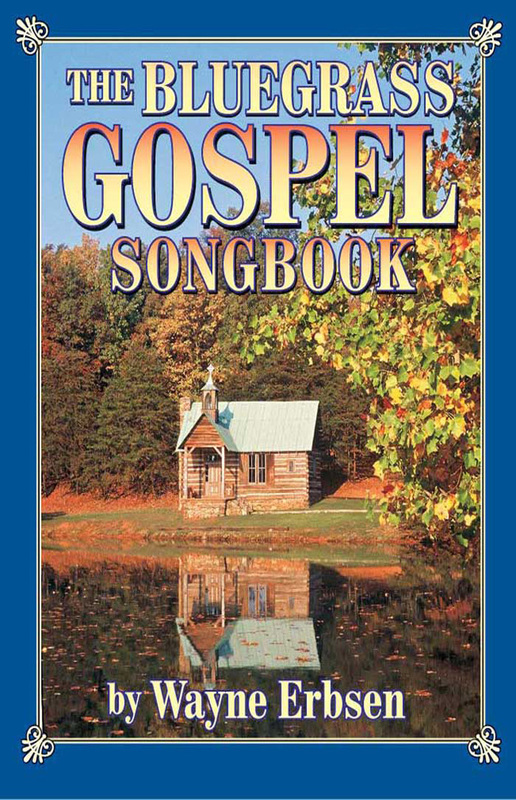 THE BOOK INCLUDES HISTORY, LYRICS, MELODY, AND CHORDS TO OVER 100 GOSPEL CLASSICS: A Beautiful Life, A Picture From Life’s Other Side, Ain’t Gonna Lay My Armor Down, Amazing Grace, Angel Band, Are You Washed in the Blood?, Beautiful, Church in the Wildwood, Come And Dine, Come Thou Fount, Crying Holy Unto My Lord, Daniel Prayed, Death is Only a Dream, Deep Settled Peace, Diamonds in the Rough, Don’t You Hear Jerusalem Moan?, Drifting Too Far From the Shore, From Jerusalem to Jericho, Give Me The Roses Now, The Glory-land Way, The Good Old Way, Grave on a Green Hillside, The Hallelujah Side, Hallelujah, We Shall Rise, Hand in Hand With Jesus, He Will Set Your Fields on Fire, Heaven Above, Hold Fast to the Right, Hold to God’s Unchanging Hand, Home in That Rock, How Beautiful Must Be, I Am a Pilgrim, I Am Bound For the Promised Land, I Feel Like Traveling On, I Have Found the Way, I Heard My Mother Call My Name in Prayer, I Will Never Turn Back, I Would Not Be Denied, I’ll Be No Stranger There, I’m Going That Way, I’m Going Through, I’m S-A-V-E-D, I’ve Just Seen the Rock of Ages, If I Could Hear My Mother Pray Again, In the Sweet By And By, In the Garden, Jesus, Savior Pilot Me, Just One Way to the Gate, Just Over in the Gloryland, Just a Closer Walk With Thee, Keep on the Sunny Side of Life, Kneel at the Cross, Leaning on the Everlasting Arms, Let the Church Go Rolling On, Let The Lower Lights Be Burning, Life’s Railway to Heaven, Little Moses, The Lone Pilgrim, Lord I’m Coming Home, Methodist Pie, My Old Cottage Home, Oh Those Tombs!, The Old Rugged Cross, The Old Account Was Settled, The Old Gospel Ship, Old-Time Religion, On The Sea of Life, On The Sunny Side of Life, Our Meeting is Over, Palms of Victory, Pass Me Not, Pilgrim of Sorrow, Poor Wayfaring Stranger, Power in the Blood, Precious Memories, Row Us Over the Tide, The Royal Telephone, Shake Hands With Mother Again, Shall We Gather at the River?, Standing in the Need of Prayer, Swing Low Sweet Chariot, Take Me In the Lifeboat, Take Up Thy Cross, Tell Mother I Will Meet Her, There is No Hiding Place Down There, Twilight is Falling, The Unclouded Day, Walk in Jerusalem Just Like John, Warfare, We Are Going Down the Valley, We Shall Meet Someday, We’ll Understand it Better By and By, What Would You Give in Exchange?, When the Savior Reached Down for Me, When They Ring Those Golden Bells, When I Laid My Burdens Down, When the Roll is Called Up Yonder, Where the Soul Never Dies, Where We’ll Never Grow Old, Who Will Sing For Me?, Will the Circle Be Unbroken?, Will There Be Any Stars?, Won’t You Come and Sing For Me? Wondrous Love, Working on a Building. Be the first to review “Bluegrass Gospel Songbook – ebook” Click here to cancel reply.